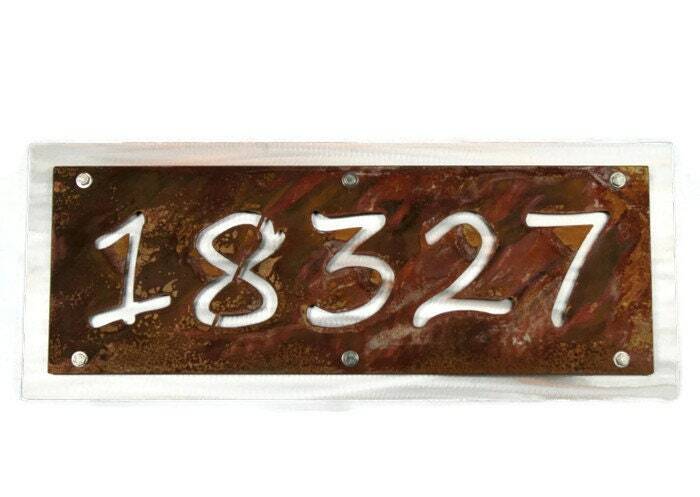 Rustic house numbers are now available in extended sizes! This address plaque is large and highly visible sign. Sure to catch attention. You'll never have to worry about guests finding your address number again. Shiny aluminum backing plate is polished for an eye-catching reflection in any light. 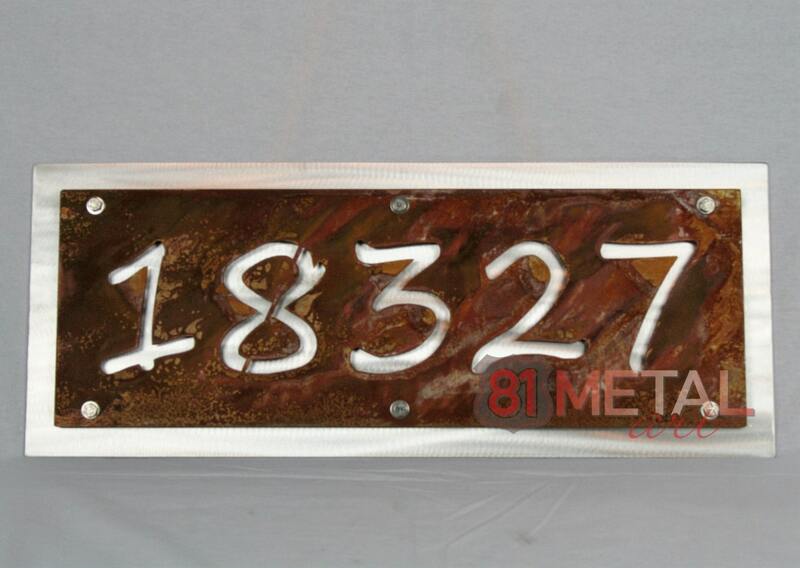 Rusted name sign is attached permanently to the backing plate. This is a sturdy outdoor sign! Select a 1-sided or 2-sided sign with the option to hang on the wall or a staked sign. Staked signs will require simple assembly upon arrival. Check out the final photo for examples of each font. 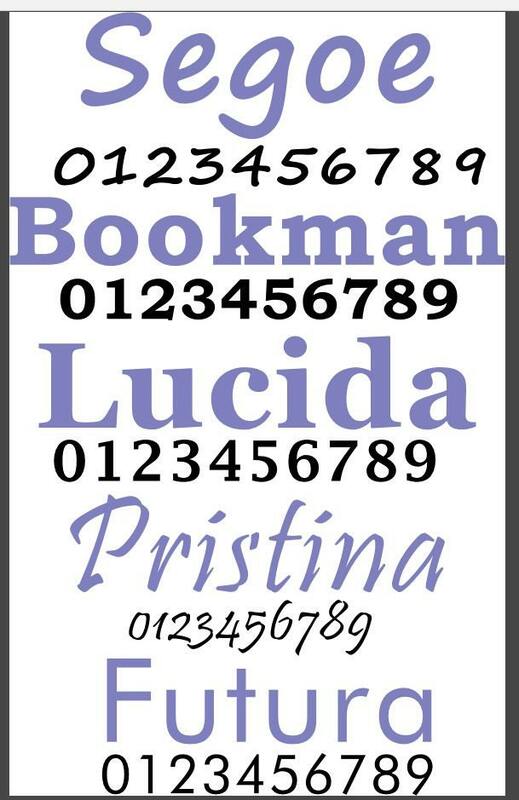 If you would like to match a special font, please contact us before purchase to verify. Then simply include a note in your order with the text you would like on the sign. Your text will be used to fill the space. A design proof will be provided to you before we cut the sign, so please watch your inbox after purchase! Love our address sign, thank you! It’s beautiful and exactly as described, couldn’t be happier!